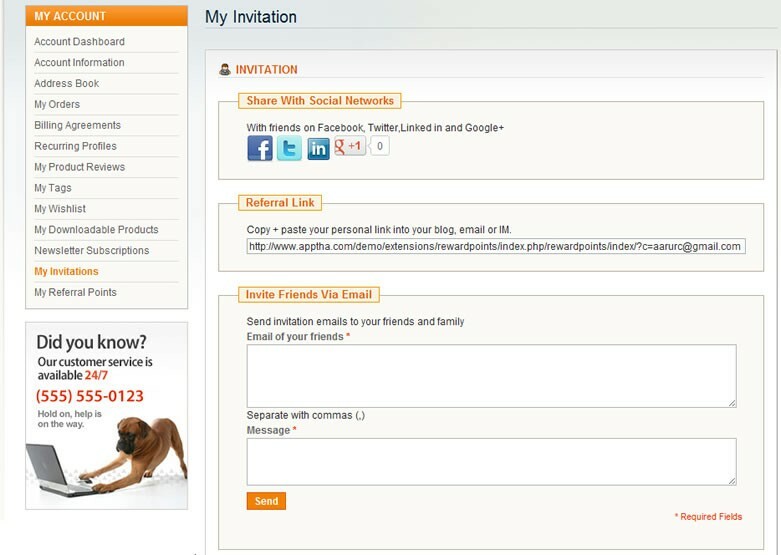 Enable the customers to earn reward points for inviting a friend to your store. 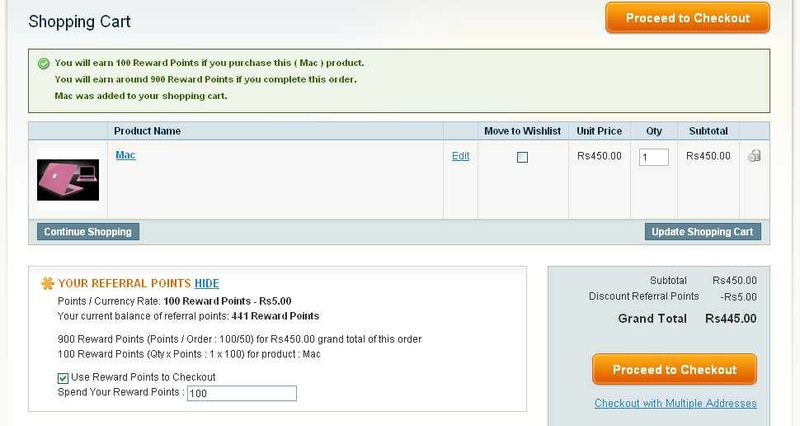 Enable the customers to earn reward points when the reffered registers/ purchases from the store. Enable the customers to share the collected reward points with friends. The referral reward points extension will help you enable a reward program for your customers. Using the extension, you can set the reward points to calculate when a customer purchase from your store for limited amount, whenever a customer introduces your store to a new user, when subscribes for a newsletter during registration, when post reviews about your product, when they tag a product, when participates in poll etc. The extension allows the store owners to choose either or all options available for earning reward points. The referral reward points extension will help you enable a reward program for your customers. Using the extension, you can set the reward points to get counted when a customer purchases from your store for limited amount, whenever a customer introduces your store to a new user, when subscribes for a newsletter during registration, when post reviews about your product, when they tag a product, when participates in poll etc. There was much hype about the magento reward point extension and when i brought it i felt it was over rated and not at all that much worthy. It is okay type of add-on but not the best or most worthy and all.